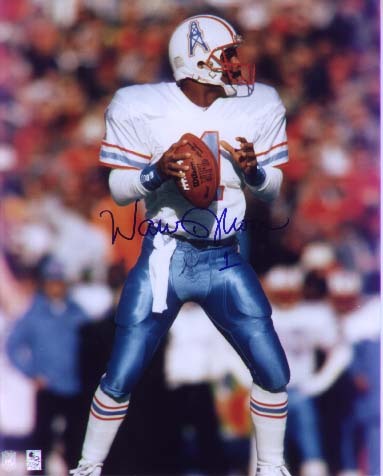 8x10 Houston Oilers photo autographed by Hall of Fame quarterback Warren Moon. Obtained from paid signing. With certificate of authenticity from AutographsForSale.com.